When it comes to roofing, there are some best practices and there are some wrong approaches. It is not very different from other types of construction at a property. There are several ways to go wrong with your roofing and a very common mistake that most property owners and roofers commit is omitting the drip edges. It doesn’t matter whether you have asphalt shingles or cedar, metal or some other materials; you should opt for drip edges. Ideally, they should be metal drip edges. Innumerable homes don’t have drip edges. It is mostly the fault of the roofers because they exclude it from the estimate thinking that drip edges are not important. Less informed or not so informed property owners will not even know that they have to get drip edges to protect the shingles and for many other purposes. While there are advantages of using drip edges, they are also necessary. Thus, they are imperative and not a choice. Drip edges are designed to protect the shingles. If you don’t have metal drip edges then you would notice that your shingles will get curled down over time. After a few years or in a year itself, if there are some considerable weather extremes, your shingles will become brittle and they may break or crack. Eventually, you will have to pay a lot of money to redo the roof, to repair or replace the shingles. Investing in metal drip edges does not require a fortune. They are very reasonably priced, installing them is very easy and they don’t take any strenuous labor. There is no reason why you should miss out on drip edges. 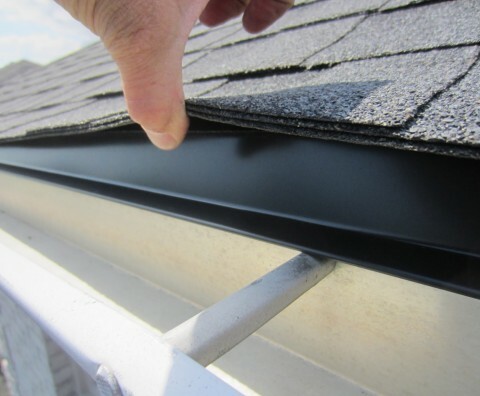 Drip edges prevent water to seep through the space that is available between the back of an eavestrough and the fascia board. When there is torrential rain or water runoff from some source, it is the drip edges that will be a protective fixture. The wooden fascia or the foundation of the roof, often referred to as the deck, will be protected from water or moisture and thus it will not rot, get warped or be damaged in any way, simply because drip edges will offer a shield to any chances of water penetration. A roof may have gaps; right from the start or over time and drip edges can seal those gaps or cover them so they are not vulnerable to animals chewing on them or for small insects and pests to invade your attic through those gaps and cracks. Metal drip edges also protect the roof and thereon your property from water leakages when snow or ice builds up in your eavesthrough.